Sumptuous luxury topper featuring soft and breathable bonded hair and lambswool to help regulate body temperature. It is covered with a wool-infused Belgian Damask and embroidered with the Royal Crest and Hypnos name. 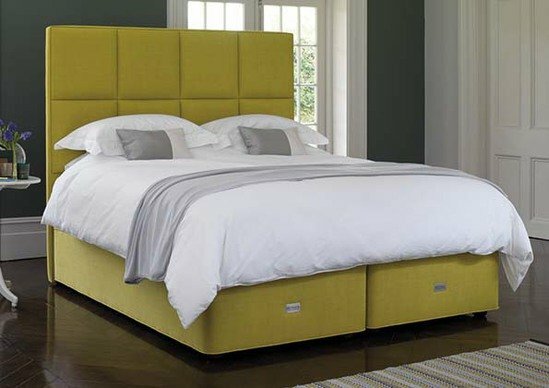 The matching mattress features hand teased hair and lambswool wrapped around a unique hourglass shaped pocket spring system – each geometrically advanced pocket spring provides seamless progressive support. The mattress is tailored with three rows of genuine hand side-stitching for edge-to-edge support, and hand tufted for longevity. The mattress and topper are matched with a deep divan which features a glued and screwed solid timber frame with a row of pocket springs, below a horse hair and wool comfort layer. 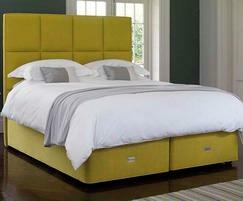 Divan bases and preferred headboards can be covered in Royal Comfort's Sanderson fabric.